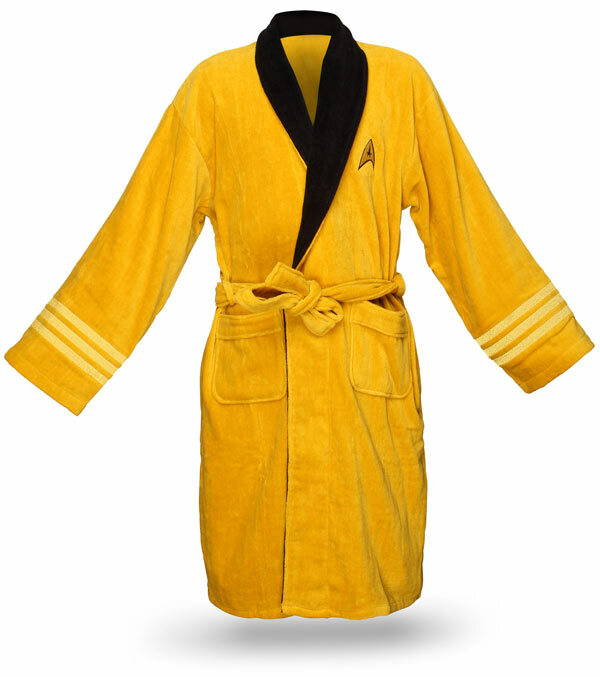 A bathrobe fit for a geek! Hello, my fellow readers! Today I have a special feature from the popular website of ThinkGeek. I recommend this website for any true geek that wants to have access to high quality memorabilia products. I’m sure that all of you know and love the cozy and warm feeling of a soft bathrobe first thing after getting out of the shower. So today I am going to take that feeling and upgrade it to the next level. 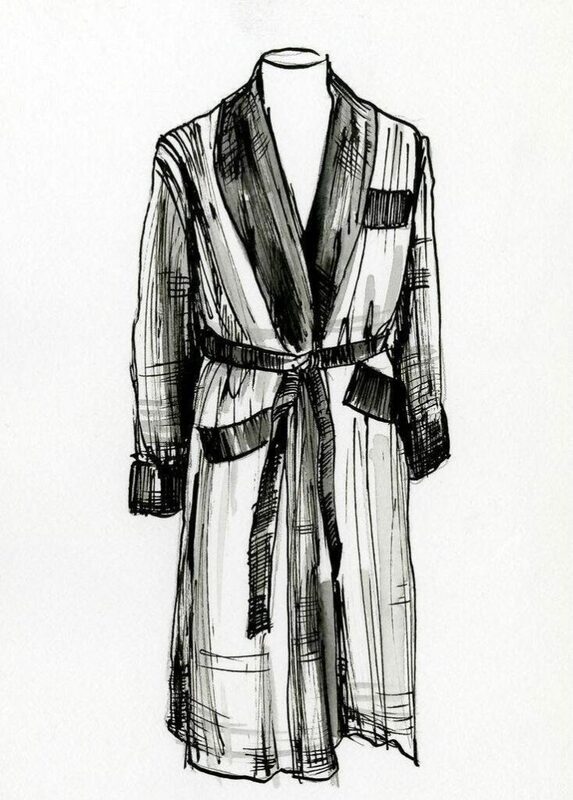 I will introduce you to bathrobes from different worlds, continents, galaxies and even time zones. And I am sure that every single one of you will find the perfect bathrobe to make your after shower time as exciting as possible. 1. 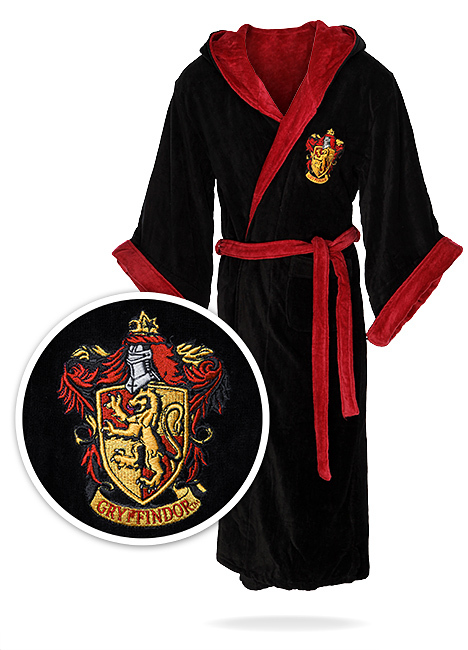 Harry Potter themed bathrobe: Step out of the shower and into the magical world of witchcraft and wizardry. It’s even better here in the muggle world because you get to choose your own house. So buy and beware because the house you may choose must be the one that makes you shine! 2. 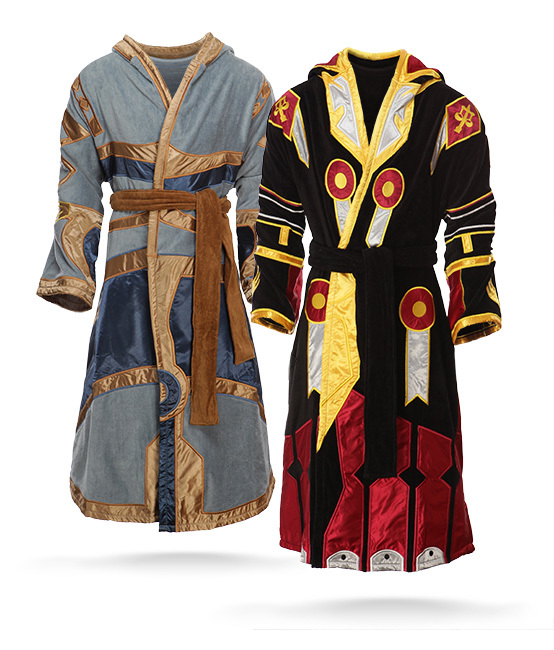 World of Warcraft themed bathrobe: If you feel that you can face a more dangerous path and want to be prepared and equipped for it, then I recommend the following models of bathrobe. You have the choice between the Avatar Regalia (Tier 5 – Priest) and the Judgement Armor (Tier 2 – Paladin) but I bet that you can confront whatever comes your way no matter which one you choose. For the Horde or the Alliance, whichever suits you best. 3. 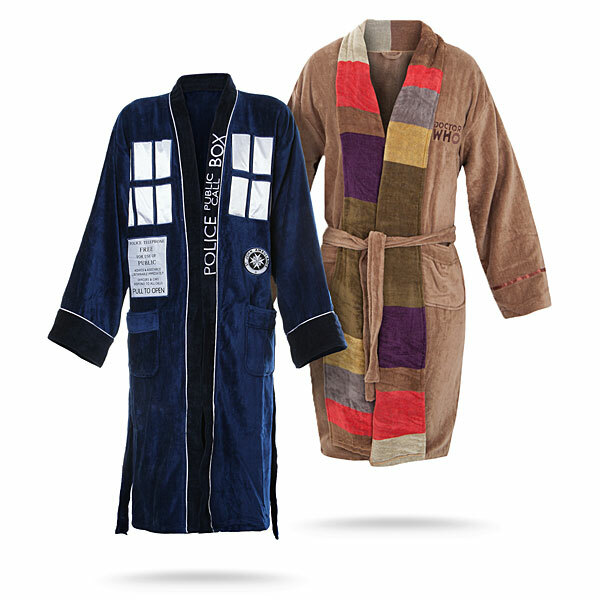 Doctor Who themed bathrobe: If traveling to different worlds, universes or timelines is more of your thing and you think you can keep track of everything, then these Doctor Who themed bathrobes are the perfect choice for you. Just an electric screwdriver and you’ll be ready to face more than the world! 4. 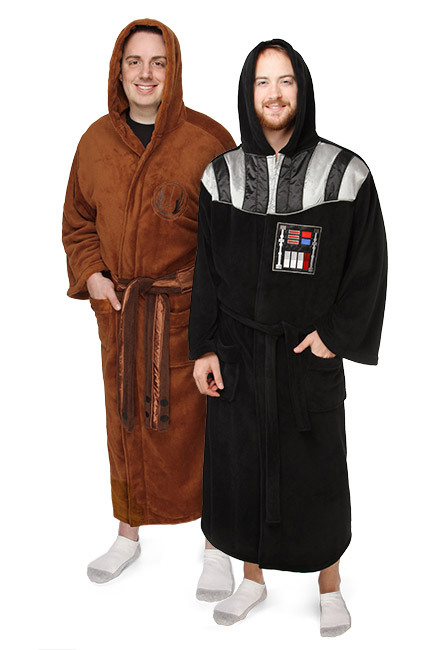 Star Wars themed bathrobe: The battle between the Dark Side and the Light Side is still going on even if we don’t see it. So choose your side, young apprentice and fight for what you believe in and for the treats you are going to get after. 5. Star Trek themed bathrobe: Some of you may call it blasphemy to put these two sides of the universe right next to each other but I took a risk. Forgive me if you may! The best part of buying this Star Trek themed robe? It comes in gold Kirk/Command/Captain, red Scotty/Operations/Commander and blue Spock/Sciences/Commander. So choose your favorite and go out and protect the universe! This article’s featured photo comes from Wikimedia Commons. Let me draw you a bath(room) with the perfect accessories in it!